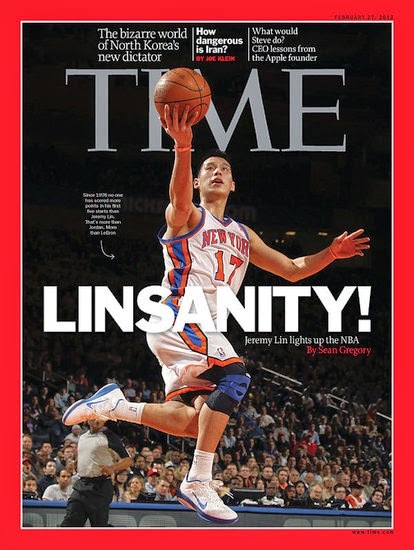 Several Chinese brands already fight for the right to represent Jeremy Lin, the young American with origin in China who awarded a diploma by Harvard which has just offered the victory in New York Knicks. Xu Zhihua, managing director of Peak Sport Products Co Limited, a manufacturer of sports clothes settled in the province of Fujian, went to the United States the last week and has to meet Linen to discuss a partnership agreement. "Our CEO met Linen in New York, but I do not absolutely know if they spoke about a contract ", declared Liu Xiang, public relations director of the brand. Mr. Liu indicated that Xu went to the United States to attend the opening of the first store Peak in New York last Thursday. Other manufacturers, including Li Ning Co Ltd and Qiaodan Sports Co Ltd, also showed their interest for Linen, but refused to make the slightest comment before the signature of contracts. The biggest obstacle for the Chinese manufacturers is that Linen signed a contract of three years with Nike in 2010. The on-line sellers do not however lose a moment. "His linen uniform is already a best-seller in my online shop ", declared a seller nicknamed Chen, who sells uniforms of the players of the NBA on Taobao.com. Chen explained that he had sold 426 linen shirts on Monday afternoon, but that he had not received the goods of his supplier yet. The young man became the focus of the world press. It made the cover of the last number of the American magazine Time, having appeared on the cover of Sports Illustrated and Daily News. Teams of Invest Hong Kong, the branch of the government of the administrative region of Hong-Kong in charge of the promotion of the investment, that they are based in Hong-Kong or on the continent, are delighted to be able to help Xtep in his projects of expansion in and by Hong-Kong, he added.